Ok, I had several different ideas for a post today, but I think we'll go with something that's been patiently awaiting it's turn for a review. Way, way back in the... early summer I think, I spied these fruit bars that are new to my area (if not new in general). It took awhile before I made it back to Shaw's to grab them, so I decided to grab one of each style. Now there are four flavors of each style. Milk chocolate comes in so fresh strawberry, just ripe banana, tropical mango, and fresh coconut (so basically I am trying the only one chocolate flavor that interests me). 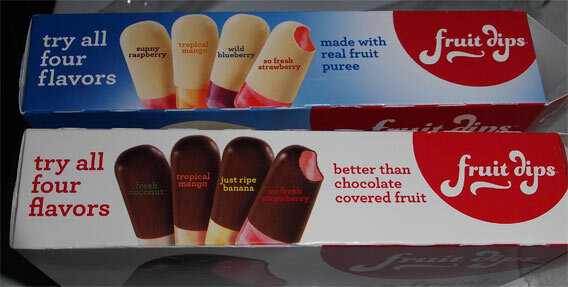 The Greek yogurt ones are more my speed with so fresh strawberry, wild blueberry, tropical mango, and sunny raspberry. Note: They're actually made by Phillyswirl who hasn't been on the blog in over four years. Ok, I'm going Greek first. I cant tell if they smell tangy, or if that's just the strawberries... well it doesn't taste tangy at first lick. I'm going in for the first bite... Wow, that strawberry has some fresh bite to it, very nice! The shell is holding up well, it's sticking to the bar and not falling apart like some coatings. You could probably call it chalky, but that sounds offensive/negative. Gritty? hehehehe, I just slid the last inch of the coating off for sampling. I can't really describe the flavoring, it's not bad though. How about calling it waxy? No, still sounds bad. Now it's just me and the strawberry filling. Man that's some vibrant flavoring. I can't thing of anything as potent. There's definitely a frozen strawberry vibe to it. I was half tempted to call it a frozen coolatta. Man, why did I wait so long to try these? They really are fruit dipped. the funny thing is that I brought up one of each to try, but it was so vibrant, I don't really feel like I need to try the chocolate one right now. On Second Scoop: It's been like a month since I had these last and I thought I remember the chocolate being my favorite, but it's the Greek yogurt that is really clicking with me tonight; The added flavoring from the coating is mild, but that means the bite of the strawberry really shines through and just really hits the spot as my dinner slowly stews on the stove. I absolutely love your Fruit Dip bars. 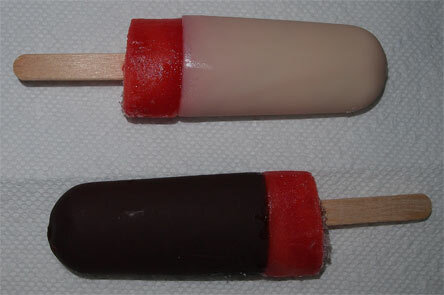 The yogurt-coated blueberry and raspberry are/were my favorites. In the location I live, they did not have the full array of all the flavors. I would've liked to have tried the yogurt covered strawberry. The chocolate covered one just didn't do it for me. I am on an extremely restricted diet, due to my health, and this was the perfect treat. Imagine my dismay to find that neither the Shaw's nor the Market Basket in my area carries them any longer. Have they been discontinued entirely, or do I just have to drive 50-100 miles to find a market that still carries them? The blueberry and raspberry flavors were amazing. The flavors were true and intense. It was like eating the berries themselves, only colder and refreshing with just a touch of sweetness from the yogurt. I so hope that they get them back in my area. I don't think they are discontinued (yet), but they may be rotating stock or changing stores. I can't find the picture, but I was at (walmart maybe?) 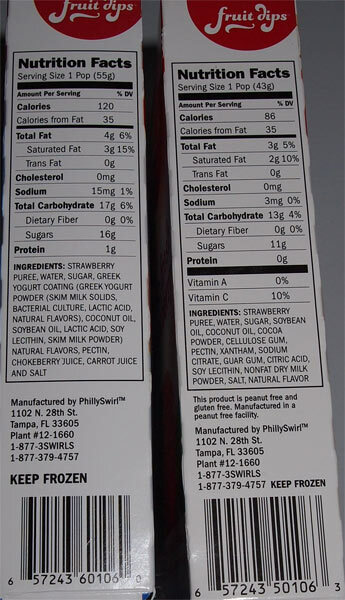 when I saw a mixed box of 8 bars and it now has the PhillySwirl logo in the corner. Stop and shop does carry them different stores carry different flavors so you'd basically have to go check it out. I'm glad mine has the strawberry and banana chocolate ones!! Yumm! they are stellar...need more strawberry , store does not carry them anymore..bohoo.they were glorious on a hot day and they seem very healthy , wish they had mixed berry or raspberry. 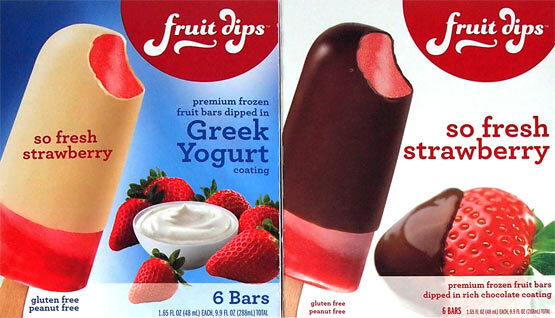 I found these at market basket where they have the chocolate dipped strawberry, banana and coconut. My favorite is the strawberry which tasted like real strawberry. I haven't yet tried the yogurt but will if MB carries them. My other comment is how reasonally priced they are. Please keep these on the shelves.